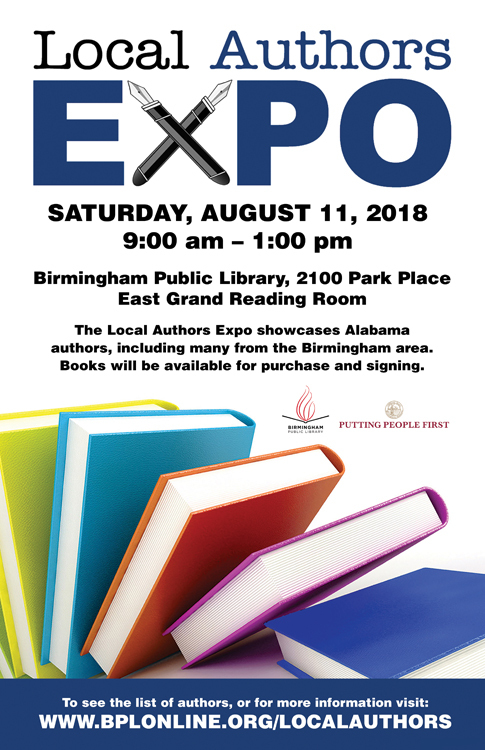 The annual Local Authors Expo held at the Central Library will showcase Alabama authors, including many from the Birmingham area. This year's FREE event will be held on Saturday, August 11, 2018 between 9 a.m. and 1 p.m. Authors will be on hand to discuss their work, sell and autograph books, and talk about their writing process. Authors, publishers, and literary organizations interested in participating will find a registration form and more information here. Registration deadline is July 27. If you have questions or need to get in touch, our email address is: localauthorsbpl@bham.lib.al.us.